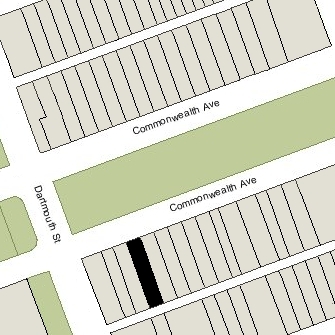 146 Commonwealth is located on the south side of Commonwealth, between Clarendon and Dartmouth, with 144 Commonwealth to the east and 148 Commonwealth to the west. 146 Commonwealth was designed and built in 1876 by architect and builder George W. Pope, one of two contiguous houses (146-148 Commonwealth). In 1880, he designed and built a third house in a similar style at 144 Commonwealth. 146 Commonwealth was built as the home of leather manufacturer and merchant Stephen Everett Westcott and his wife, Abbie Ann (Fuller) Westcott. They previously had lived at 119 West Chester Park. He is shown as the owner on the original building permit application, dated May 15, 1876, and on a permit amendment, dated March 5, 1877, to add a 35 foot long wooden ell in the rear of the building. Stephen Wescott purchased the land for 146 Commonwealth on February 29, 1872, from the Commonwealth of Massachusetts. Click here for an index to the deeds for 146 Commonwealth. Stephen Westcott died in February of 1892. In his will, he specified that the bulk of his estate, including 146 Commonwealth, was to be held in trust for the benefit of Abbie Westcott and their only surviving child, Edith (Edwith) Westcott. Edith Westcott married in June of 1893 to Francis Wright Fabyan, a cotton and dry goods merchant in his family’s firm, Bliss, Fabyan & Co. After their marriage, they lived at 148 Commonwealth. 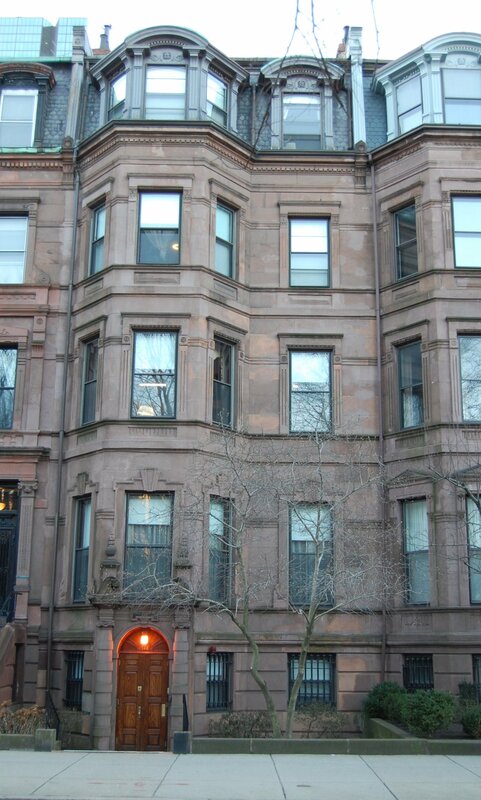 Abbie Westcott continued to live at 146 Commonwealth until her death in March of 1901. By the 1901-1902 winter season, 146 Commonwealth was the home of Francis and Edith (Westcott) Fabyan. They had lived at 222 Beacon during the previous season. The house continued to be owned by the trust established under Stephen Westcott’s will. In about 1912, 146 Commonwealth was remodeled by the firm of Little and Browne. Arthur Little owned the neighboring house at 148 Commonwealth. It was probably as a part of this remodeling that the front entrance was lowered to street level and the wooden ell in the rear was rebuilt as a brick ell. The Fabyans continued to live at 146 Commonwealth until Edith Fabyan’s death in December of 1928. They also maintained a home in Manchester and later, in the mid-1920s, at Buzzards Bay (near Bourne). Under Stephen Wescott’s will, after the death of his daughter, the half of the property held by the trust was to be distributed to her children, and the other half was to be distributed as she directed in her will. Accordingly, on February 15, 1929, the trustees transferred ownership of 146 Commonwealth to Henry Meyer of Belmont to the use of Edith (Westcott) Fabyan’s four children (one-eighth undivided interest each) and to Robert H. Gardiner (one-half undivided interest), as trustee named under Edith Fabyan’s will. At the time of the transfer, Francis Wright Fabyan was a resident of Bourne. In February of 1930, he married again, to Annabel Park. 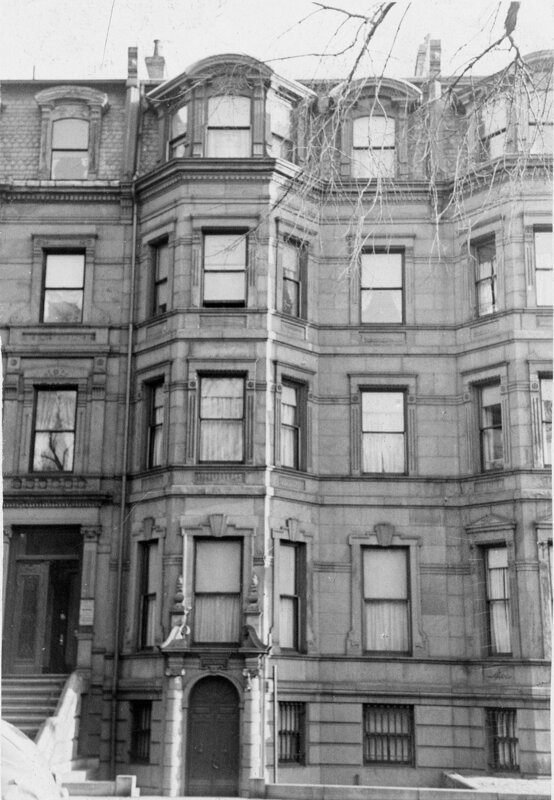 After their marriage, they lived at 31 Gloucester. 146 Commonwealth was vacant from 1930 through 1933. On December 20, 1933, 146 Commonwealth was purchased from the Fabyan family by the Trustees of Boston University. 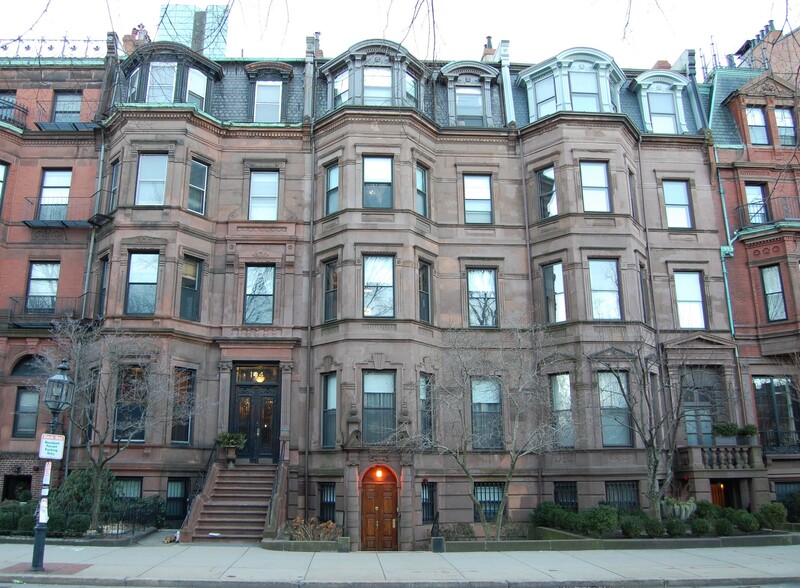 The University acquired the property for use by the Boston University Women’s Council as a dormitory for women graduate students coming from overseas. The house later was named Fisk House in honor of Louisa Holman Fisk, founder and first president of the Council. In July 2, 1935, the BU Women’s Council applied for (and subsequently received) permission to remodel the house, converting it from a single family dwelling to a lodging house. It remained Fisk House in 2016.